This past week has been one that was even more crazy than typical! Each day had something “extra” planned and several involved us eating lunch either out or brown bagging it. Because of all the fuss and a few missed alarms I didn’t end up running even once :S Because of that and all the eating out my weight bumped back up to 134.4, however I think that it will be really easy to drop it again by next week so I’m not too concerned. As far as the 40 Days of Water challenge I must say that I’ve been surprised at how it’s actually been quite a bit more tricky than I thought it would be! Thankfully there is one “cheat day” each week so I was able to use that because pizza with anything other than Pepsi is gross to me, haha! As far as the no snacking while I haven’t managed to do no snacks every night this challenge has really made me stop to think about it when I reach for something after 8, and most nights I do go without. On my “cheat night” I was surprised to find that after just a little bit of snacks I found myself putting the rest back because I wasn’t really craving it after all–a HUGE deal for me!!! When life gets as crazy as it has been lately it’s always nice to have a few great products to rely on! 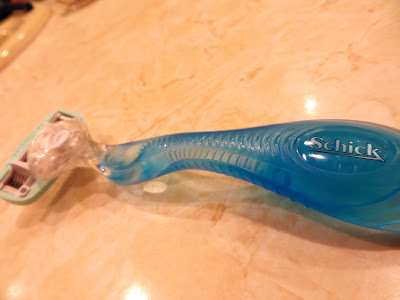 Lately I’m loving my new Schick Hydro Silk® razor because it has a fun design that’s easy to grip in the shower, it has this really cool moisturizing serum so that it hydrates without using a big, clunky bar around it to do so, and the 5 blades help shave close and great like stealing your hubbies razor would! It’s perfect for the days when I am trying to find the time to squeeze a shower in! Right now you can find high value coupons for Schick Hydro Silk® razor in the paper–or if you’d like me to send you a super special one courtesy of BzzAgent just let me know in the comments! 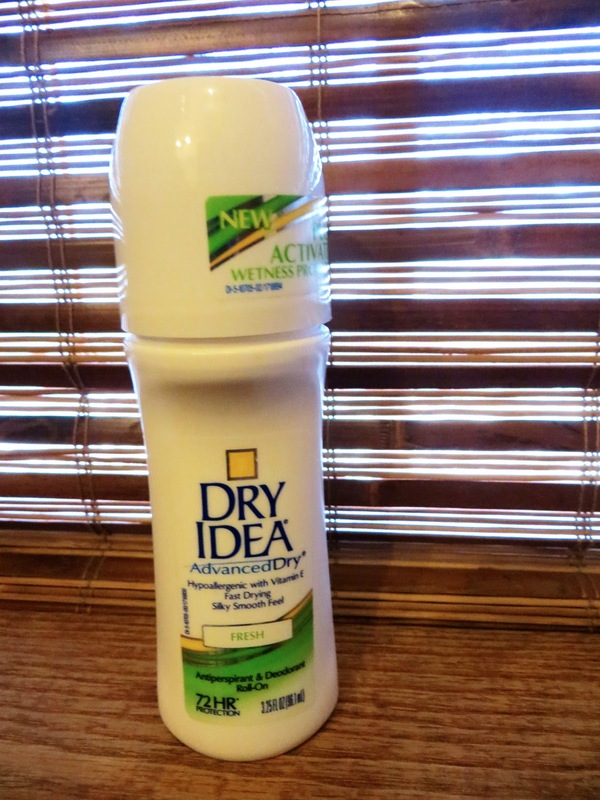 The other product I’m currently loving is the new Dry Idea Advanced Dry Fresh. As you know it’s February, and in Texas that means that one minute I’m freezing and the next I’m sweating–yuck!!! Dry Idea is roll-on deodorant and antiperspirant (but it also comes in stick) that is pulse activated–so it keeps me cool and ick free no matter if I’m bundled up or in a tank top–even when those two happen within the same day. I’ve been using it for several weeks now and I’m loving how it works! Also Dry Idea has a great Sweepstakes going on right now! Never Let Them See You Sweat® Sweepstakes featuring Dry Idea AdvancedDry Fresh! One lucky grand prize winner will receive $500, while 10 2nd place winners will receive a $50 prize! Two lucky readers will get to check out Dry Idea Advanced Dry Fresh for themselves! Enter below and don’t forget to “like” Dry Idea on Facebook!